Surrender at New Orleans – Mark Loves History! 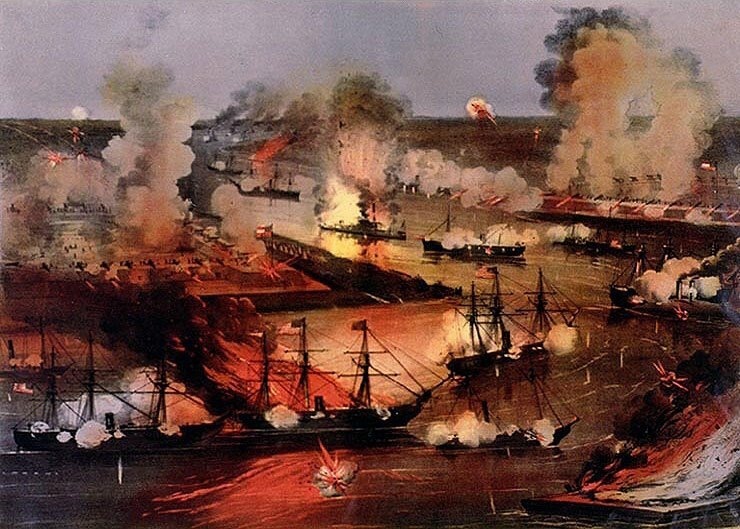 Today in History, April 29: 1862 – The surrender of New Orleans. The Confederacy was determined to protect the jewel of the South, it’s largest port and therefore source of supply from abroad. They were convinced the attack would come from the north, and placed the bulk of their army forces and naval forces in Tennessee and Mississippi. This left New Orleans to be defended by about 3,000 militia and two forts below her on the River, Ft. Jackson and Ft. St. Phillip. 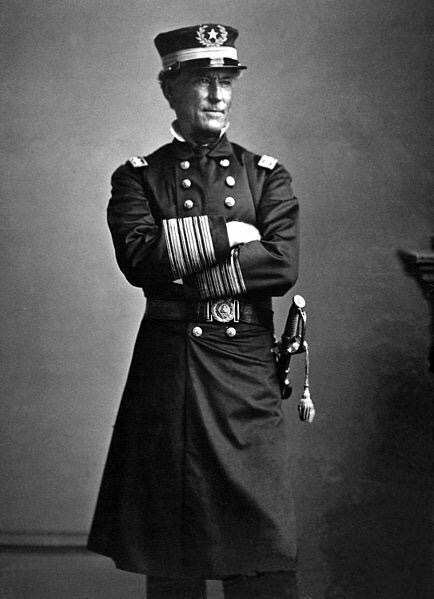 Union Flag Officer David Farragut took his force of Union ships and tried to silence the forts, and failing that decided to run past the batteries in a fierce battle. By the 28th his fleet lay off the city on the Mississippi. If you’ve ever been to the French Quarter and watched ships move by ABOVE you on the river, you’ll understand why the Confederate commander there told the mayor the battle was already lost and withdrew his forces. The next day, the 29th, Farragut’s childhood home surrendered to him. David Farragut was adopted by Capt. David Porter after his mother died, and began his naval career at age 9. He would become the first Rear Admiral, the first Vice Admiral, and the first Admiral in the US Navy. His adoptive brothers, David Dixon Porter and William Porter would also be naval heroes that attained flag rank. The capture of New Orleans by Union forces helped cut off the Confederacy from outside supply, and from their territories in the west. 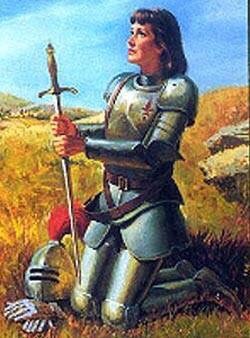 Coincidentally, on this same date in 1629, 17-year-old Joan of Arc led a force that liberated Orleans, France from the English.